Star NZ mare Bonneval has arrived in Australia ahead of her defence of the Dato Tan Chin Nam Stakes. Dual New Zealand Horse of the Year Bonneval is back in Melbourne to launch her spring campaign at Moonee Valley in the same race she won first-up a year ago. 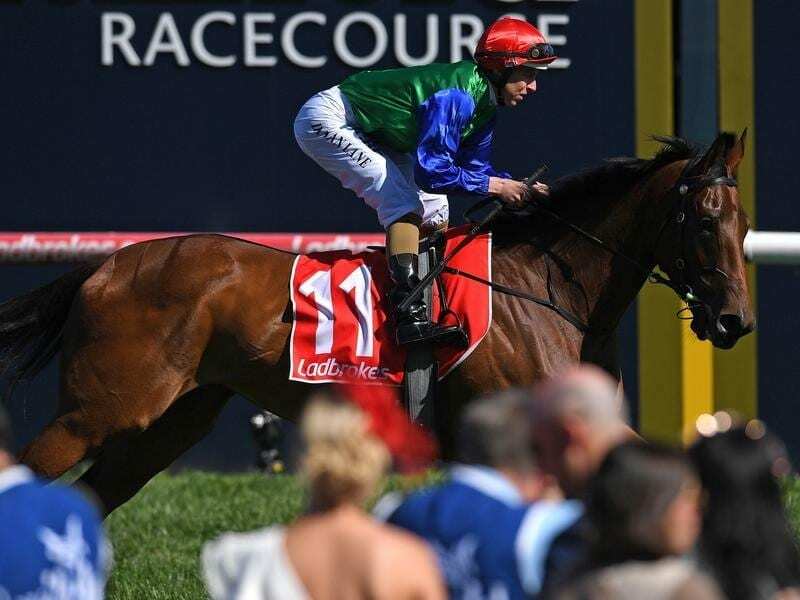 Bonneval was last week crowned New Zealand’s champion horse for the second-straight year, courtesy of her Australian Group One win in the Underwood Stakes at Caulfield which came after her victory in the Group Two Dato Tan Chin Nam Stakes at Moonee Valley. The star mare was ruled out of the autumn because of a suspensory ligament strain but co-trainer Andrew Forsman is looking forward to Bonneval’s return on Saturday in the Dato Tan Chin Nam (1600m). “She travelled over yesterday morning and settled in well,” Forsman said. Forsman said Bonneval needed the time to recover from the injury before building up for the spring. “It was just a minor strain of the suspensory,” he said. The mare and Godolphin star Hartnell are among six Group One winners in the 22 nominations for the Dato (1600m). Bonneval surprised co-trainer Murray Baker and Forsman with her convincing win last year and Forsman said there were similarities with how she was going this time. “She’s just had the one trial and ideally we would have given her two, but it’s basically been a very similar preparation to last year,” he said. “The only difference is she’s not coming off an autumn campaign and she is an older horse so that’s probably the niggling doubt that maybe she’s not quite as forward, but she’s certainly had plenty of work. “Looking at her and looking at her work, she’s pretty well spot-on to where she was last year. Regan Bayliss will ride Bonneval on Saturday. Oaks hopeful Rubira travelled over with Bonneval while Forsman said another three horses could head over on Sunday including Group One winner Jon Snow and Sydney Cup runner-up Zacada.